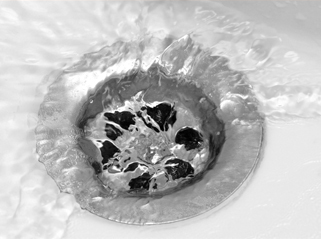 Anyone who has every experienced a clogged drain understands the need of drain cleaning. Drain Cleaning in San Tan Valley is something that can not be done as a do it yourself project. Sure, you can get out some of the surface dirt and hair but, deep down in the drain there are already items you can not reach and they will cause a clog at some point. This is why it is so important for a professional drain cleaning service to get in there and offer professional drain cleaning. This will help to prevent future problems and deal with current ones that you might not even know are happening. Clogged drains are created by a number of factors. Things like hair and dirt get caught in the pipes and surrounding surfaces. This creates clogs and that leads to drain back up and damage to your pipes and even other parts of your drainage system. Hard and soft water can also create issues by leaving deposits behind that help to create a clog deep with in the piping. When that happens you could quickly have a emergency situation on your hands that could have been avoided from the start. It is always cheaper to avoid a problem in the first place. Calling an emergency plumber and dealing with the damage repair costs are much more costly. Drain Cleaning in San Tan Valley is the easiest way to prevent clogged drains. Many people think that using a professional to clean their drains will be expensive. This simply not based in truth. When you think about all the problems that can be caused by not having a professional clean your drains it is easy to see that having a professional clean your drains is much more cost effective. Keep in mind that a simple drain cleaning is the secret to keeping your drains clog free.